The MySoft ERP Series is a Microsoft SQL multi-user database solution which is a highly regarded and powerful product. It is built around the stable, reliable and stress-free foundation - Mr. Accounting, and is a direct upgrade from the basic Accounting Series. 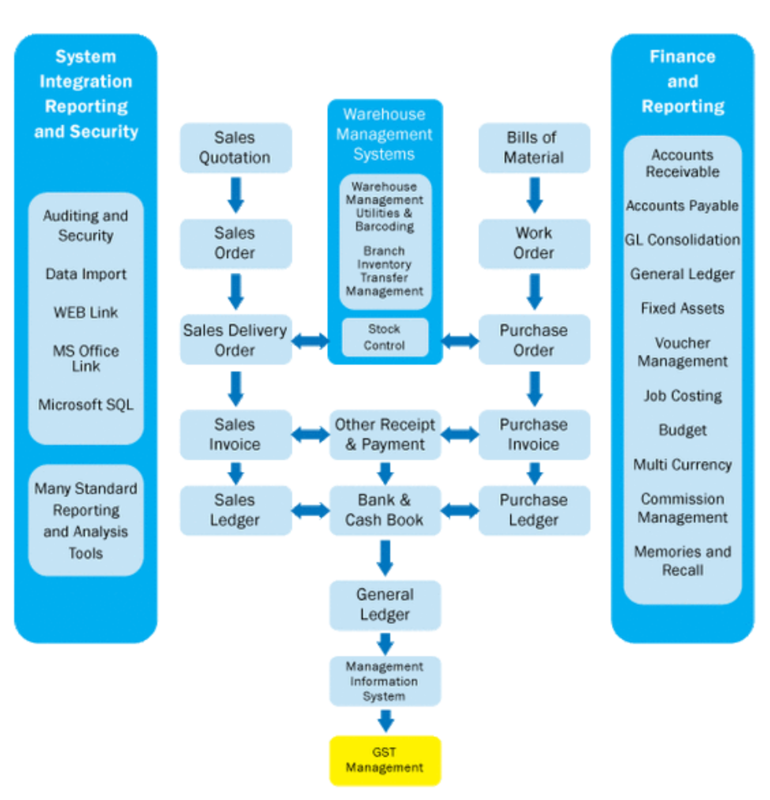 Like Mr. Accounting, the MySoft ERP also inherits the easy-to-use and comprehensibility in this enterprise application system. The basic challenge and concern in the corporate world today is to handle the massive information across the organization, vendor and customer (departments, external sources). It is key to be able to manage and track all these information accurately; then be measured, analyzed and delivered securely in order to generate accurate and precise results on time. The business ecosystem is becoming a smaller place, with broadband connectivity, transportation options and expanding global supplier lists. With more supply chain links and customers worldwide, there is demand for companies today to up the ante in innovation, lower costs, tighter timelines and quicker information flow. Businesses under this pressure need a steadfast yet flexible solution to more effectively manage these links and relationships.